Wow! If you’ve made it this far, congratulations are in order! Perhaps some fireworks and a party! It’s hard to believe that this is our last module…and wow! Does it cover a lot! I really would love to explore the information in this Module further. It would be great to have Exploring Creation with Zoology for High School, right? 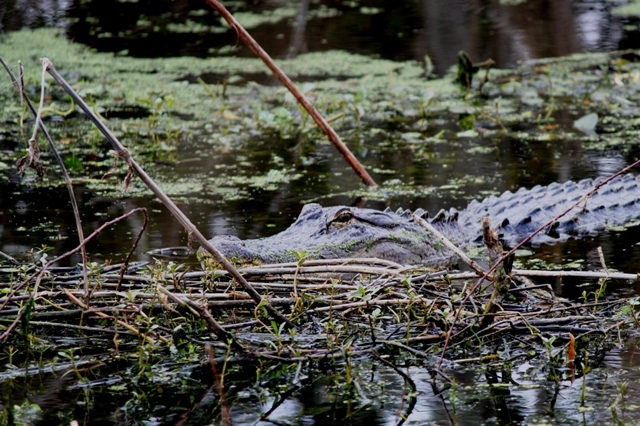 Class Reptilia is one we encounter almost daily here in Florida. You don’t need to go very far to come across members of this class….many are in your own backyard! The larger can be found in almost any fresh water lake near you! But be careful….sometimes they take their show on the road! Check out these posts for a few examples: Darling, There’s an Alligator at the Door, Python Bursts After Eating Alligator, and Girlfriend Hit with Alligator. You may also want to check out the NatGeo Wild series called In the Womb. While there is some evolutionary content, there is also excellent photography and animation of fetal development featuring various animals. I wish I would have looked ahead to this module months ago. Because we are in the south, this experiment would have been even better had we rescheduled it for sometime in the Winter due to the many migratory species that visit here. 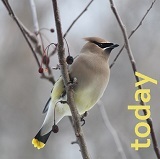 Audubon Guides – Absolute favorite! 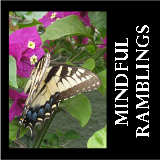 If you have a smart phone, there is a wonderful app available. 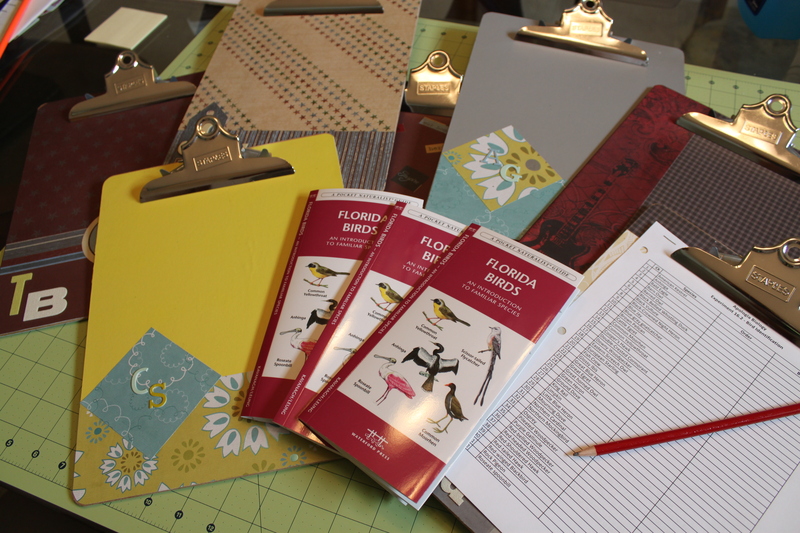 As seen in the picture, we are also using A Pocket Naturalist Guide, Florida Birds: An Introduction to Familiar Species, by Kavanagh/Leung. The students will be breaking into teams of 2 – 3 students to complete the scavenger hunt. Every team member will have a copy of the Module 16 Bird List. Each team will have a pocket guide, binoculars, a camera, and trail map. Each Species should be recorded, photographed, and noted by number on their map. The team that finds the most of the 50 species listed, will win the grand prize….The Pocket Naturalist Guide! Our field trip was rescheduled due to thunderstorms, so I’ll be back to post some pictures from the hunt! Disclaimer: No compensation of any kind has been received for promoting any products, websites, videos, or anything else. But first, a couple of fun videos about plants before we get down to business….This is a really cool plant. Wonder if they grow here?? And no mention of the Venus Fly Trap is complete without talking about the movie Little Shop of Horrors…but you’ll have to check that one out on your own. Who knew? Fruit classification is not quite as easy as you might think! 🙂 But we sure had a lot of fun in the process AND a we all had a very healthy snack! 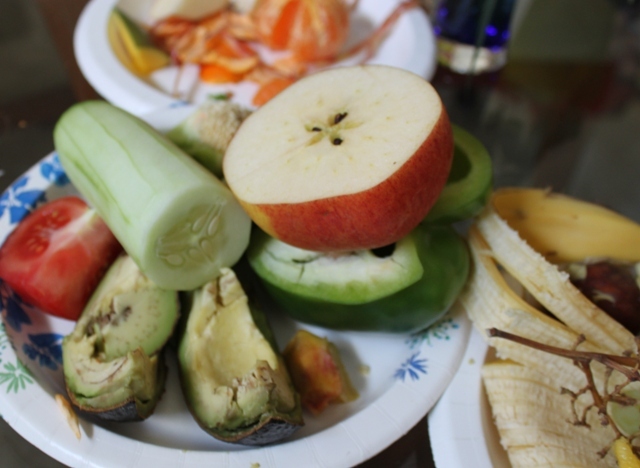 We used Bananas, Tangerines, Kiwi, Avocado, Sweet Peas, Tomato, Cucumber, Green Pepper, Grapes, Apples, and Peanuts. Everyone was quite courageous during our dissections. No one sat on the side lines. One student did look a little green after eating a piece of tomato, but that is to be expected! I think the feeling was quite unanimous; this was one of our favorite experiments to date! Dissected peanut…see the tiny embryo at the top? These are referred to as, “the leavings” and should be thrown out or composted once experiment is complete!